Creation: Appeared in 1999 as an upgrade to SR 929. Ran as it does today. This is the 3rd VA 299. Comment: A brand new divided parkway linking the US 29 bypass/business route interchange with US 15 south of Culpeper. This is the former site of SR 929, which was notable for being a literal dead-end divided highway, complete with overhead No Outlet signs at the US 29 interchange. 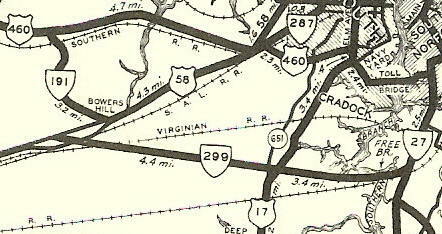 VA 299 #1: Appeared in Oct 1935 (CTB) as new primary routing over SR 650 and SR 649. Ran from US 58-VA 191 Bowers Hill southeast to US 17 Deep Creek. By June 1938, VA 299 was rerouted to head more easterly to meet US 17 and across the Gilmerton Bridge to end at VA 27 (curr US 13-460-VA 166 jct). This was the first piece of Military Hwy to open. The old route southeast to Deep Crrek became SR 650 and SR 649 Fleming Rd again. 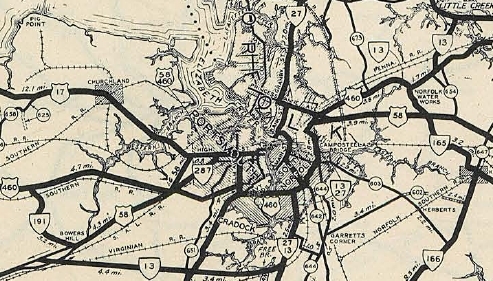 In 1940, VA 13 replaced VA 299. Today it is US 13-460. 1940 Official VA 299 #2: Appeared in 1940 or 1941 as a new cutoff. Ran from US 301 to US 460 south of Petersburg. 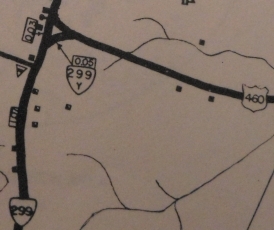 In Jan 1945 (CTB), this became part of either VA 301 ALT or US 301 ALT which has since become mainline US 301. 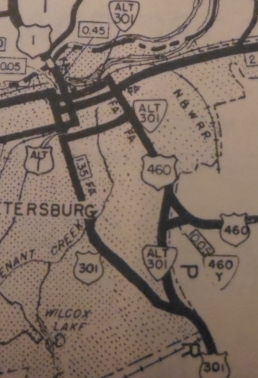 VA 299-Y: Explicitly shown in the 1943 VDOT County Atlas as a 0.05 mile triangle setup with US 460 (now US 460 Bus). Presumed to have lasted as long as VA 299 did, then was renumbered as US 460Y. 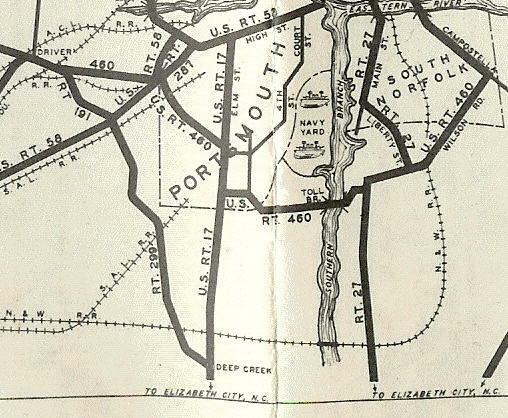 I think today this has been buried by the I-95 interchange with Crater Road US 301. 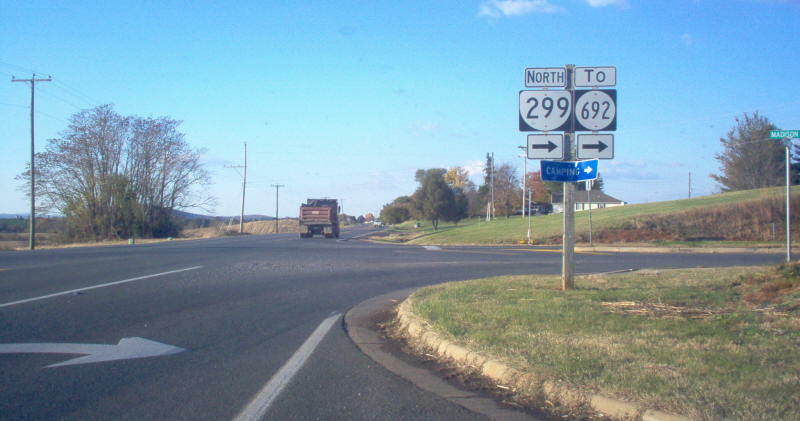 VA 299 becomes VA 301 ALT and VA 299-Y becomes VA 460-Y.